March 21 is World Down Syndrome Day (inspired by the trisomy of the 21st chromosome). How perfect that is aligns with my weekend challenge? If you are a regular reader, you know I am the European Regional Director of RODS Racing. We fund raise to provide adoption fees for orphans with Down Syndrome. These orphans are usually from overseas, where the culture might not embrace these loving children. Adoption fees can range from $15,000-30,000 (£9,000-18,000) and often times will prevent families from opening up their homes. Today's weekend is tiered. I truly hope you embrace this challenge and use it to motivate you to achieve. Level 1- Share and RT this post to raise awareness for orphans with Down Syndrome. You can also follow us on twitter: @RODS_Racing is for the entire team. @RODS_Euro is the UK and Europe region. On August 24, 2009 she was found abandoned in front of a hospital in a card board box. She was only an infant at the time. Since that day she has spent her time in an orphanage with little hope of getting out. 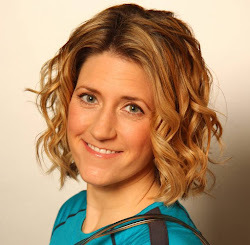 Last year I received an email from an individual in Canada named Christalee that caught my attention. She told me about how she adopted a child from China a few years ago. When she went to the orphanage the day she was united with her child she saw a little girl in a crib who appeared to have Down syndrome. She only saw this little girl for a brief moment but that image has stayed with her. She asked if there was anything we could do for her. Together with Christalee we went to work. First we needed to find out if this little girl was still there. We contacted the orphanage and indeed, the little angel was still there. When corresponding with the orphanage director we found out that she was not available for adoption. When we asked why, she told us that she didn't think anybody would want her because she has Down syndrome so they didn't go through the process of getting her listed and eligible. For the last 3 months we have been working to change this and get Mei Chen officially listed and eligible for adoption. I'm happy to say we are in the final stages of completing this! We expect Mei Chen will be officially eligible for adoption by month end. We've also been raising funding that will be a grant to the family who comes forward to adopt her. Our goal is to raise $15,000. So far we are just over $11,000. 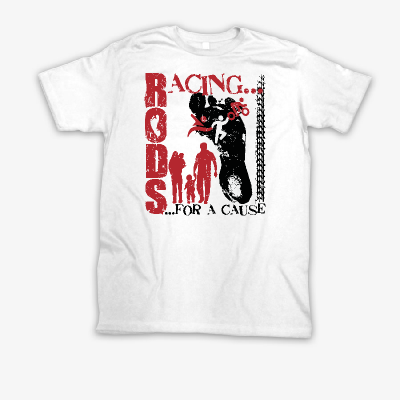 Level 3- Buy a limited edition RODS Racing shirt or hoodie, from which proceeds will go to Mei Chen. Level 4- Host your own fund raiser! Have a bake sale at work, organize a poker tournament (where the house wins), raffle off some prizes, whatever you can do to help us raise money and spread awareness. Did we mention that YOUR racing efforts SAVES ORPHANS! I hope you rise to the challenge today. I am willing and able to help new team members sort a race schedule and adopt a training plan. If you put your mind to it, you can be unstoppable.